If the snow and awfully cold weather has kept you from doing your usual Christmas shopping, never fear! 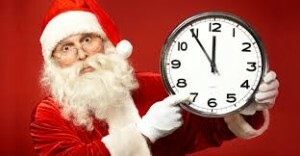 We have put together a terrific list that can help you finish up your naughty and nice list without ever leaving home. You can order everything on this list and most likely it will still make it to your intended recipient by Christmas. The great thing here is, if it doesn’t make it, you can blame with weather! Take a peek at some of the coolest gifts ever to hit someone’s tree or stocking. 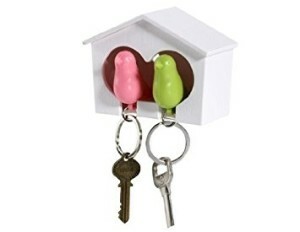 For the birdbrain in your life or the person who loves birds or the person who constantly loses keys, this is a cute idea. The birds sit perfectly in their little holder and they also work as whistles for…well, for whatever. Too cute and too cheap to pass up. This is absolutely too cute and too cool at the same time. If you love your electric blanket, you will understand why your cat will love this. 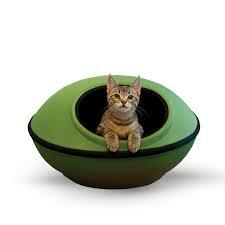 Besides keeping kitty happy, it will keep your home looking chic. It also comes with an unheated model, but why not keep Fluffy off of your bed by making his bed more comfortable? There is nothing more relaxing than a glass of wine and a soak in the tub. 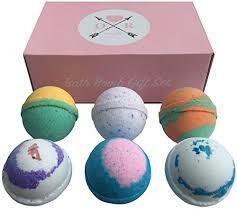 Make that soak extra soothing by adding these wonderfully scented bath bombs. Comes in a pretty gift box, so all you need to do is add a bow and a tag. Take note fellas, presents don’t get much easier than this! Do you love to make your own egg and ham muffins for breakfast, but trying to fry eggs, (and they never come out round, do they?) cook the ham, then toast the muffins …let’s admit it – it’s a bit daunting, isn’t it? 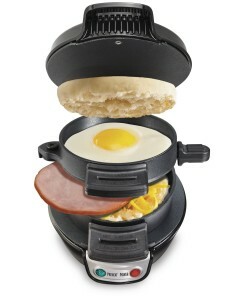 Let this all in one sandwich maker do the work for you. Super handy and super inexpensive too! 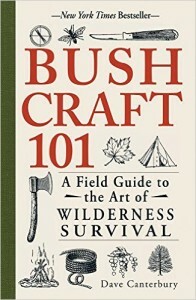 For the person in your household who loves TWD and wonders how they would survive in the wild, this book is for them. It comes in paperback or Kindle version and talks about the basic 5 C’s of survivability and much more. Cool gift for the outdoor enthusiast. Don’t let Fluffy get all the cool stuff, dogs love their beds too! 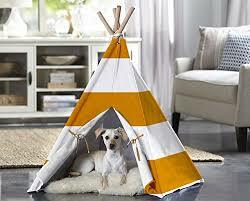 This teepee comes in a variety of colors and sizes, so you can get just the right fit for Fido. Just pop your dog’s favorite pillow, blanket, or bed inside and Fido can be a wolf for the night! 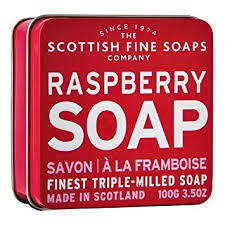 Super stinky and long lasting soaps from Scotland in a variety of scents that come in cute little collector tins, so you can decorate the water closet even after the soap is gone! Seven scents such as raspberry, orange, heather, and blueberry, to suit just about everyone on your list. We suggest buying one extra for yourself because once you get a whiff, you won’t be able to resist! 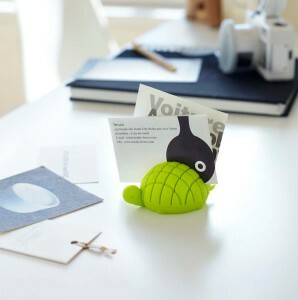 Just when you think you’ve seen every kind of card or photo holder imaginable, here comes this little cutie. Made from silicone, so it won’t get hard or crack like plastic, this little turtle comes in several colors. This same company also offers hedgehogs and armadillos for those who aren’t into turtles. 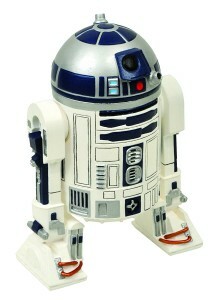 If someone you love is all about Star Wars, these are the perfect gift. Cute banks that could certainly become collector’s items someday. You can choose from R2D2, Storm Trooper, Darth Vader, or Zak from The Force Awakens. Your stocking stuffer problem has just been solved! Who couldn’t use another flash drive? 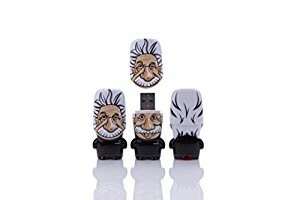 Einstein face is amusing as he sticks out his tongue when you remove the cover. This company also has Yoda, Darth Vader, and C3PO from Star Wars for a bit of variety. What are you waiting for? That gift list isn’t going to fill itself! Give Santa a break and do a bit of shopping from your sofa while you watch The Grinch, ok?